The coaches at RPM utilize a combination of cross training and triathlon training for swimming, cycling and running to collectively improve individual performance goals for triathlons. 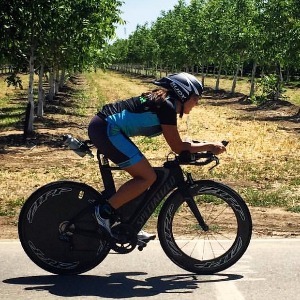 Our coaches can help beginner, intermediate and advanced level triathletes improve technique, strategy and overall performance through proper training. Beginner triathletes can comfortably get introduced to the sport. Advanced triathletes can optimize performance through industry leading triathlon research. Julie Visger is the owner and founder of RPM Training, as well as the head trainer and coach. She is a certified NASM, CPT, USA Triathlon Certified Coach and Ironman Certified Coach. Julie truly enjoys helping athletes achieve their goals with training, preparing and optimizing them in the performance of a variety of different sports. Julie is also a triathlete herself and competes regularly in Ironman Triathlons. She is also the head coach of the Tri Team for the local Team in Training chapter, for the Leukemia Lymphoma Society. She loves working with athletes of all levels. I prefer athletes to have at least a heartrate monitor. Success. Coach Julie Visger has been notified of your message.